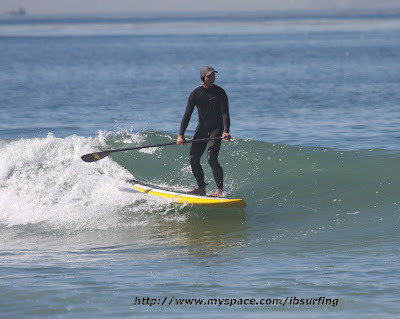 Stand Up Paddle Surfing: Sunny and Glassy: Remember that? I just met a local photographer, Jeff Wallis, who's been shooting surf photos in town for the last few years. He's got what you'd call a "sweet piece of glass" on the front of his Canon 40D. Check the resolution on these photos- killer. I think we'll be seeing more of Jeff's stuff in the future, be sure to check out the rest of his stuff at his myspace site. Thanks Jeff! Stand up paddle surf lessons in sunny San Diego. You've read our posts, you've looked at our photos- now it's time to meet the mind behind the blog. Come learn to stand up paddle surf with me! Lessons available now! Get out on the water and nail those SUP skills before summer's here. 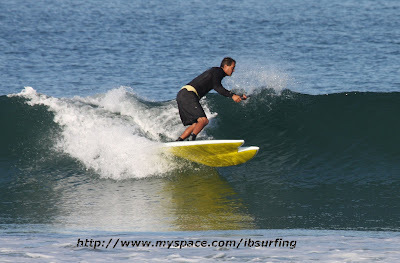 For more information, testimonials and some corny photos of me, your SUP instructor, click here! See you on the water! you think 8.6.is possible captneg9. Yep- with the amount of volume forward I do. Isn't that the call on the Gem- smaller boards? yes but iam 200 libras more like 8.10. i just wish i was the gem test pilot.free boards.ya baby.captneg9.